First Loves: Flutist Tim Munro's Rebellious Rock 'N' Roll : Deceptive Cadence The flutist from the ensemble eighth blackbird recalls the odd and powerful sounds of Charles Ives he discovered in a grade school music class. It would lead him to a world of contemporary composers whose music Munro proudly calls "my rock 'n' roll." The topic of the week is "First Loves." We want to hear your story about the first piece of classical music you fell madly in love with. Tell us about it in the comments section below. 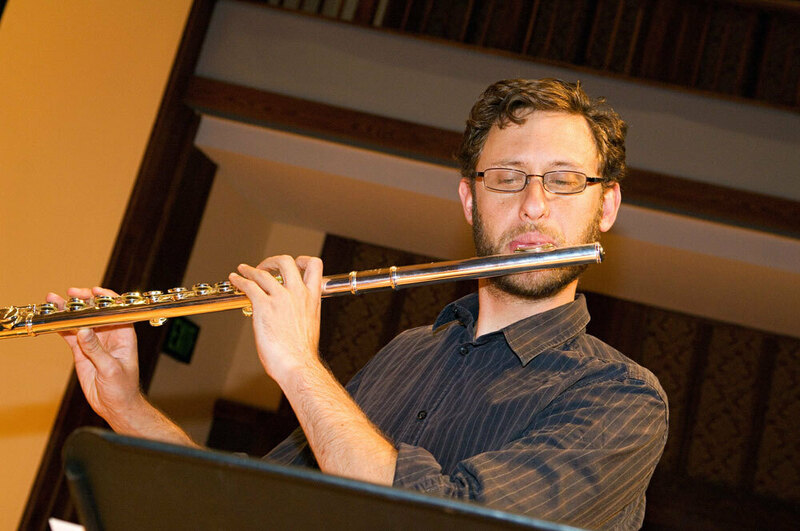 Meanwhile, here's a story from Tim Munro, flutist in the ensemble known as eighth blackbird. Tim Munro of eighth blackbird became enamored with Charles Ives' bizzare soundscape. There's an amplified 'clunk' as the needle hits the vinyl. A few seconds of ambient crackle subsides into an expectant soundscape, littered with scattered pops and snaps. Then music. A string section enters with a soft, dissonant chord hovering in the air, fresh with anticipation. The chord changes, wavering with fragility, breathing the wet, sweet air of a still summer night. The chord changes again, then again, unfolding in a slowly revolving, aimless cushion of sound. This is the beginning of a new musical life for me, but I have no idea of that yet. All my 13-year-old brain hears, sitting in the front row of ninth grade music class in Brisbane, Australia, are the un-dreamt-of sounds of some bizarre nocturne. My teacher, Mr. Morton, tells me the piece we’re listening to is called Central Park in the Dark. I've never seen New York’s Central Park, but I imagine an open, unimpeded field of grass, angling steeply down from the imposing city, dark, haunted by ghosts. This is music that is baffling, but I’m excited, really excited -- and bursting with questions. Is it meant to sound so weird? Why does this American bloke, Charles Ives, who my teacher calls a “maverick,” create such bizarre sounds? How does he hear this in his head? And how could he possibly write it down? After it’s over, Mr. Morton carefully slips the LP back into its sleeve, and I don’t ask any of my questions. I suffer from that common high school disease of wanting to appear neither too smart nor too stupid. Better not to say anything at all. In the months that follow, I descend on the dusty stacks of LPs hidden in the corner of the St. Peters Lutheran College music room. The hulking, metal shelves guard me from the glances of passing students as I thumb my way through recordings that will prove enormously influential: Peter Sculthorpe’s Sun Music, Krzysztof Penderecki’s Threnody, Stockhausen’s Gruppen. When I get home from school, I park on the creaky stool in front of our 100-year-old upright piano to wildly hammer out loud (always loud), anarchic improvisations -- my own impersonations of this bizarre music. This diverse, experimental world of contemporary classical music -- from the teeming webs of Gyorgy Ligeti and the fist-pumping anger of Brian Ferneyhough, to the hypnotic repetitions of Philip Glass, and the lucid insanity of Pierre Boulez -- is my boundary-pushing, parent-shocking, rebellious rock ‘n’ roll. It is the center of my musical universe -- throughout my teens and early 20s. And it's all thanks to that quirky Mr. Ives and his odd sounds. 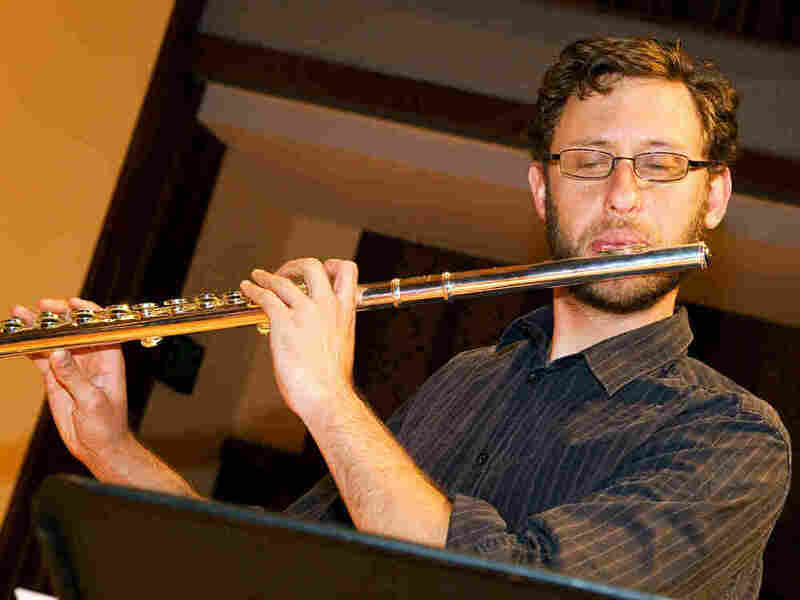 Tim Munro is a flutist and a member of the ensemble called eighth blackbird.